Stephen Curry’s here in Manila as a part of the Under Armour Asian Tour. The Golden State Warriors all-star guard touched down at around 8:45 last night and was met by a mob of fans desperate to see the player in the flesh. Today, Steph has been roaming around the metro for his brand promotion. He had some shootarounds with the public watching. And as expected, he tried the Filipinos’ favorite dessert (halo-halo) and posed with a jeepney (of course, he did). 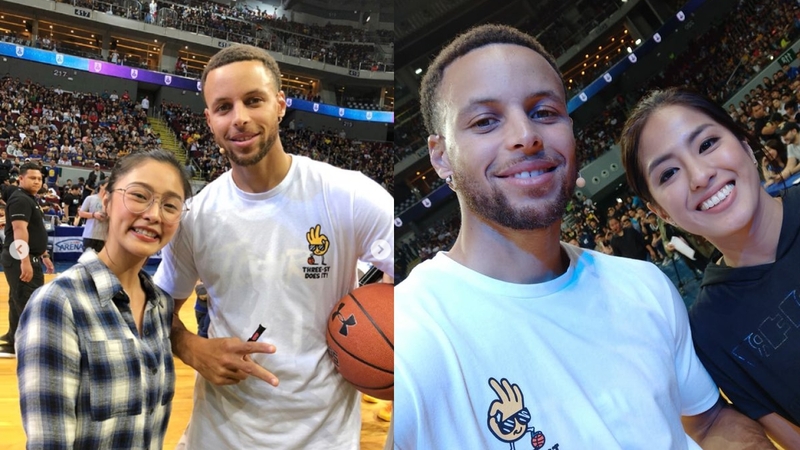 Among the many fans were some celebrities and athletes that also went crazy for Steph. And they weren’t shy about asking for photos with him.